When it comes to car servicing and repairs in the Andover area, DPH Services are your local, reliable experts. Offering honest and accountable specialist vehicle services for every customer, all work is carried out to the highest standards. We take great pride in providing the best VAG car care in the Andover area and meet our customer’s needs whatever they are. For more information about our availability, please don’t hesitate to contact us today on 01264 771 777. We are available to answer your queries at all times. Alongside this, we have specialist VW, Audi, Skoda and Seat mechanics on site so that you can get the professional services you need for your manufactured vehicle. 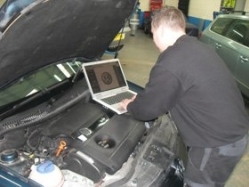 To arrange a time for your vehicle to be assessed at DPH Services in Andover, call us on 01264 771 777. You can also fill in our contact form and we will be back in touch as soon as possible.